The World Economic Forum would like to thank Aetna, Bank of America, Burda Media, the Coca-Cola Company, EY, Heidrick & Struggles, JLL, ManpowerGroup, McKinsey & Company, NYSE, The Olayan Group, Old Mutual, Omnilife-Angelissima Group, Ooredoo, PwC, Renault-Nissan Alliance, SABMiller, Takeda Pharmaceutical and Tupperware for their invaluable support of the Gender Parity Programme and this Report. Aetna is one of the nation’s leading diversified healthcare benefits companies, serving an estimated 44 million people with information and resources to help them make better-informed decisions about their healthcare. Aetna offers a broad range of traditional, voluntary and consumer-directed health insurance products and related services, including medical, pharmacy, dental, behavioural health, group life and disability plans, and medical management capabilities, Medicaid healthcare management services, workers’ compensation administrative services and health information technology products and services. Aetna’s customers include employer groups, individuals, college students, part-time and hourly workers, health plans, healthcare providers, governmental units, government-sponsored plans, labour groups and expatriates. As a company doing business in more than 100 countries, Bank of America is one of the world’s largest financial institutions, serving individual consumers, small- and middle-market businesses and large corporations with a full range of banking, investing, asset management and other financial and risk management products and services. Bank of America Corporation stock (NYSE: BAC) is listed on the New York Stock Exchange. Bank of America Merrill Lynch is the marketing name for the global banking and global markets businesses. The company offers an integrated and comprehensive set of products and services across global corporate and investment banking, global markets and wealth management. Bank of America Merrill Lynch serves the needs of individual, corporate, institutional and government clients through operations in more than 40 countries, combining the best of local knowledge and global expertise. 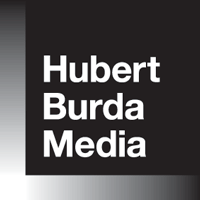 Hubert Burda Media is one of Germany’s biggest media companies, with 100 years of family tradition. The domestic publishing, foreign publishing, and digital and printing (Burda Druck) divisions, with more than 9,500 employees, achieved a consolidated group turnover (external sales) of 2.65 billion euros in 2013. The group is active in more than 20 countries. The Coca-Cola Company (NYSE: KO) is the world’s largest beverage company, refreshing consumers with more than 500 sparkling and still brands. Led by Coca-Cola, one of the world’s most valuable and recognizable brands, the Company’s portfolio features 16 billion-dollar brands including Diet Coke, Fanta, Sprite, Coca-Cola Zero, vitaminwater, Powerade, Minute Maid, Simply, Georgia and Del Valle. Globally, it is the No. 1 provider of sparkling beverages, ready-to-drink coffees, and juices and juice drinks. Through the world’s largest beverage distribution system, consumers in more than 200 countries enjoy its beverages at a rate of more than 1.8 billion servings a day. With an enduring commitment to building sustainable communities, the Company is focused on initiatives that reduce its environmental footprint, support active, healthy living, create a safe, inclusive work environment, and enhance the economic development of the communities where it operates. Together with its bottling partners, it ranks among the world’s top 10 private employers with more than 700,000 system associates. EY is a global leader in assurance, tax, transaction and advisory services. The insights and quality services it delivers help build trust and confidence in the capital markets and in economies the world over. EY develops outstanding leaders who team to deliver on its promises to all of its stakeholders. EY plays a critical role in building a better working world for its people, its clients and its communities. Heidrick & Struggles is the premier provider of senior level executive search, culture shaping and leadership consulting services. For 60 years, the firm has focused on serving the leadership needs of the world’s top organizations through integrated leadership solutions. Senn Delaney, the global leader in corporate culture shaping, became a Heidrick & Struggles company in 2013, providing an important new service offering focused exclusively on inspiring leaders to create thriving organizational cultures to improve spirit and performance. Today, as the industry pioneer, Heidrick & Struggles remains vigilant of its rich heritage while continuously evolving according to market trends to serve the leadership talent needs of C-suite and board-level executives around the world. JLL (NYSE: JLL) is a professional services and investment management firm offering specialized real estate services to clients seeking increased value by owning, occupying and investing in real estate. With annual fee revenue of $4 billion, JLL has more than 200 corporate offices and operates in 75 countries worldwide. On behalf of its clients, the firm provides management and real estate outsourcing services for a property portfolio of 3 billion square feet, and completed $99 billion in sales, acquisitions and finance transactions in 2013. Its investment management business, LaSalle Investment Management, has $48 billion of real estate assets under management. ManpowerGroupTM (NYSE: MAN) has been the world’s workforce expert, creating innovative workforce solutions, for more than 65 years. It connects more than 600,000 men and women to meaningful work across a wide range of skills and industries every day. Through its ManpowerGroup family of brands—Manpower®, ExperisTM, Right Management® and ManpowerGroupTM Solutions—it helps more than 400,000 clients in 80 countries and territories address their critical talent needs, providing comprehensive solutions to resource, manage and develop talent. In 2014, ManpowerGroup was named one of the World’s Most Ethical Companies for the fourth consecutive year and one of Fortune’s Most Admired Companies, confirming its position as the most trusted and admired brand in the industry. ManpowerGroup makes powering the world of work humanly possible. McKinsey & Company is a global management consulting firm committed to helping institutions in the private, public and social sectors achieve lasting success. For over eight decades, its primary objective has been to serve as its clients’ most trusted external adviser. With consultants in more than 100 offices in 60 countries, McKinsey brings unparalleled expertise to clients worldwide. It works closely with teams at all levels of an organization to shape winning strategies, mobilize for change, build capabilities and drive successful execution. NYSE Euronext is a wholly-owned subsidiary of IntercontinentalExchange Group (NYSE: ICE), operator of the leading global network of exchanges and clearing houses. 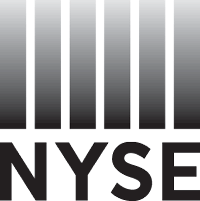 NYSE Euronext operates multi-asset exchanges, and a range of related data products and technology services. The company’s equity exchanges—the New York Stock Exchange, NYSE MKT and NYSE Arca—trade nearly one-third of the world’s cash equity volume. NYSE is the global leader in capital raising for listed companies, including the majority of technology IPOs globally in 2013. The company’s equity options markets, NYSE Arca Options and NYSE Amex Options, offer complementary market models. NYSE Euronext also provides comprehensive global connectivity services and a range of market data products to support efficient, transparent markets. The Olayan Group is a private, multinational enterprise comprising more than 50 companies and affiliated businesses. It was founded in 1947 by Suliman S. Olayan, a self-made Saudi entrepreneur who rose to international prominence as a business leader, investor and philanthropist. Today, in its 66th year, the Group continues to build its reputation upon the bedrock values of its founder: dedication, integrity, teamwork and continual improvement. This applies across the board to the Group’s activities as both a global investor and a diversified commercial and industrial enterprise in Saudi Arabia and the wider Middle East. The Group frequently partners with leading multinational or regional companies, and it represents top international brands. Its principal offices are in Riyadh, Athens, Vienna, London and New York. Old Mutual provides life assurance, asset management, banking and general insurance to more than 16 million customers in Africa, the Americas, Asia and Europe. Originating in South Africa in 1845, Old Mutual has been listed on the London and Johannesburg Stock Exchanges, among others, since 1999. In the year ended 31 December 2013, the Group reported adjusted operating profit before tax of £1.6 billion (on an IFRS basis) and had £294 billion of funds under management from core operations. Omnilife-Angelissima Group is a highly diversified group of companies, ranked among the 200 most successful companies in Mexico and present in 19 countries. It offers products for health, entertainment and beauty from top brands: Omnilife, Angelíssima, Chivas and Chivas USA. Ooredoo Group, formerly known as Qtel Group, is a leading international communications company delivering mobile, fixed, broadband Internet and corporate managed services tailored to the needs of consumers and businesses across markets in the Middle East, North Africa and South-East Asia. As a community-focused company, Ooredoo is guided by its vision of enriching people’s lives and its belief that it can stimulate human growth by leveraging communications to help people achieve their full potential. Ooredoo has a presence in markets such as Qatar, Kuwait, Oman, Algeria, Tunisia, Iraq, Palestine, the Maldives and Indonesia. The company reported revenues of US$ 9.3 billion in 2012 and had a consolidated global customer base of more than 91.0 million people as of 31 March 2013. Ooredoo’s shares are listed on the Qatar Exchange and the Abu Dhabi Securities Exchange. PwC helps organizations and individuals create the value they are looking for. PwC is a network of firms in 157 countries with more than 184,000 people who are committed to delivering quality in assurance, tax and advisory services. PwC is part of the global conversation and movement towards responsible business practices that create positive change in the world. Responsible business practices, such as ethics, integrity, independence and transparency, have always been at the heart of PwC. PwC refers to the PwC network and/or one or more of its member firms, each of which is a separate legal entity. Created in 1999, the Renault-Nissan Alliance is a car group responsible for one in 10 cars globally, with 2012 revenues of US$ 170 billion. The Alliance employs nearly 450,000 people in almost 200 countries worldwide. Renault and Nissan are run as separate companies but united through cross-shareholding, a shared focus on results-driven synergies, cross-cultural management and respect for individual brand and corporate identities. The Alliance has a flexible business platform and has expanded to include collaborations with Germany’s Daimler, China’s Dong Feng and Russia’s AvtoVAZ, among others. Renault and Nissan are the only automakers mass-producing and selling zero-emission vehicles, including the Nissan LEAF and Renault Kangoo ZE van, which are 100% electric and can be fully recharged with purely renewable energy. The Alliance is helping to build a zero-emission infrastructure around the world and has agreements with over 100 cities, states and countries that are working to establish the infrastructure and market conditions that will help make electric vehicles affordable and convenient. SABMiller is one of the world’s leading brewers: it produces more than 200 beer brands, has some 70,000 employees, and is in more than 80 countries. In the year to 31 March 2014, it sold more than 315 million hectolitres of lager, soft drinks and other alcoholic beverages, generating net producer revenues of $26.72 billion and EBITA of $6.45 billion. The group brews and markets winning local brands and builds portfolios to meet its consumers’ needs. These include premium international beers such as Pilsner Urquell and Peroni Nastro Azzurro, as well as leading local brands such as Águila, Castle, Snow and Tyskie. SABMiller also has growing soft drinks businesses and is one of the world’s largest bottlers of Coca-Cola products. SABMiller seeks to build strong businesses that contribute to local economies, buying extensively from smallholder farmers and working with expert partners to protect local water sources. SABMiller also recognizes that it has a role in tackling alcohol abuse, working with partners around the world to encourage responsible drinking and to address alcohol’s wider societal issues. Takeda Pharmaceutical is a global pharmaceutical company with a presence in more than 70 regions and territories around the world, committed to striving for patients’ better health worldwide. The company has a dynamic 232-year history and is currently the top pharmaceutical company in Japan and Asia, as well as one of the top 20 pharmaceutical firms globally. It pursues its mission through intensive innovation in R&D and in-licensing opportunities in six areas: CV and metabolic, oncology, CNS, immunology and respiratory, general medicine and vaccine. In pursuit of its vision of sustainable growth and greater contribution to all stakeholders, Takeda is passionate in its commitment to its three strategic pillars—Innovation, Culture and Growth—in order to adapt to the world’s rapidly changing landscape. With the addition of Nycomed to the Takeda family in 2011, the company is dedicated to increasingly providing leading medicines to ever more patients around the world. Tupperware Brands Corporation is the leading global marketer of innovative, premium products across multiple brands utilizing a relationship-based selling method through an independent sales force of 2.9 million. For more than 65 years, Tupperware Brands has connected women through its worldwide sales force—propelling the organization’s business objectives while positively impacting the lives of women through a unique business model that educates and empowers through economic opportunities, training and enhanced self-confidence.